Montreal’s loss is potentially your gain. Montreal’s recent pit-bull ban has sent waves of controversy around the city—and the reverberations are being felt as far the east coast, with many Maritime shelters stepping in to save what they deem a misunderstood breed. Organizations are scrambling to relocate pit bulls and other pit bull-type breeds from potential euthanizing in La Belle Ville by transporting the four-legged friends across provincial lines. One such shelter is Dartmouth’s Bide Awhile, which executive director Darrold Gould says by phone is attempting to secure spaces for approximately two pit bulls. “That’s the maximum we could take,” he adds. 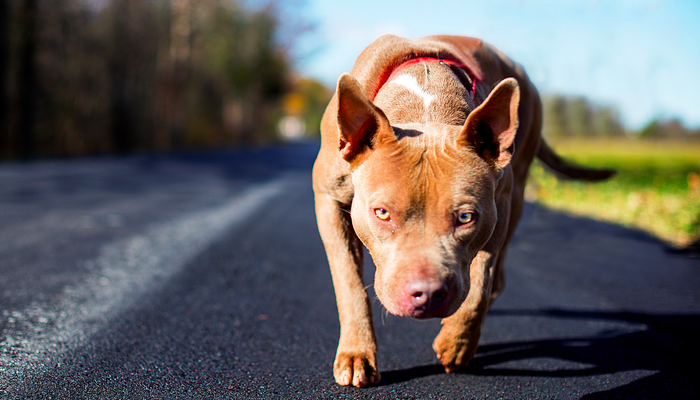 While other provinces’ absorption of the Montreal pit bull population can potentially save the lives of some pups, it isn’t an ideal solution, Gould explains. Gould adds it’s a “band-aid solution,” and what Montreal really needs is not out-of-province shelters stepping up so much as educating owners. To him, it comes down to providing laws that keep dogs out of unfit homes, therefore stopping them from becoming the type of dogs who bite. In the meantime, Haligonians with a soft spot for pit bulls could have the chance to adopt one as a result of the displacement. Gould suggests watching local shelters’ Facebook pages for announcements of new arrivals.